How to check, has the package arrived? All services over time improved and moderniziriruyutsya that touched the mail service. If you send a registered letter, parcel or any postal shipments with declared value, then it is in the mail is assigned a unique tracking number, which you can then observe what happens to your shipment, where is it located and what status. A registered letter is a letter handed to the addressee against receipt, in this case, the sender is given a receipt. The minimum size of the registered letter 110x220 mm, and the maximum 114x162 mm. Send a registered letter weighing not more than 100 g On any registered letter need to select "custom". Delivery of a registered letter can be done with acknowledgment of receipt. In this case, after receipt by the addressee of the letter the sender gets a receipt. When the post office you have received your email (package, etc. ), you will receive a special receipt that you need to save. In this check, set the mail type ID 115127(80)15138 5 that you need to know for tracking your mail. Go to the website of the Russian post at http://www.russianpost.ru/ and select the tab "Services", then "tracking", or follow the link http://www.russianpost.ru/rp/servise/ru/home/postuslug/trackingpo. Enter in the box your ID number. Enter the ID should be fully, without brackets and spaces. Then click "Find". Then you will see the search results: processed your order, sent in the following paragraph, I arrived there at the place of destination, was delivered to the addressee. Also listed all the dates of transactions. In addition, you can also look on the website of the Russian post established terms of written correspondence delivery http://www.russianpost.ru/rp/servise/ru/home/postuslug/termsdelivery. It would seem that in the age of modern information technology, service by ordinary mail a thing of the past. But people still write letters. And many organizations require to send them letters only by Post of Russia. In this case, letters must be customized. That is, the delivery of such letter shall be guaranteed. It happens that letters do not reach their destination, lost, lost. It is best when sending a letter to use the "custom reverse notification". Notice not much increase the cost. In this case, if the letter is sent, without notice, in the recipient's mailbox is just thrown notice that the Post office N waiting for his letter, and a request to come and get it. If the email is sent with a return notice, it will be given personally to the recipient. You will be asked to sign the acknowledgment of receipt, and will send a notification to you. 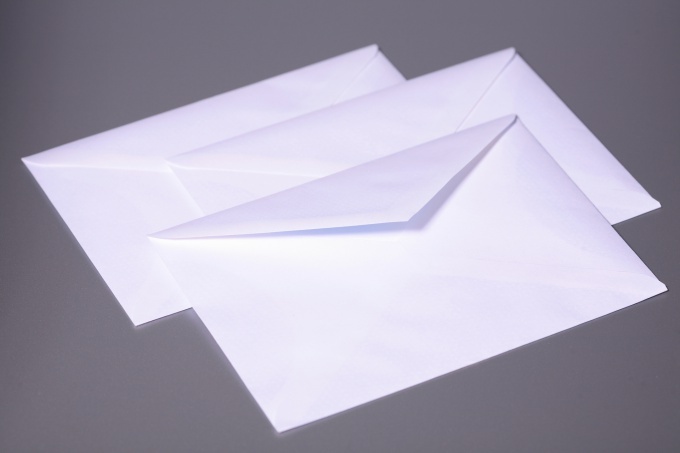 When sending a letter, you will be awarded a check which will indicate the unique identification number of the postal item (domestic or international). Don't lose the receipt before the letter will reach the addressee. And it is better to inform the recipient of the letter. If the recipient is you, then ask him to send you the ID information. ID information is tracked at every stage of the forwarding letters: administration, shipping, sorting, delivery to the addressee, etc. Usually, the information is recorded either in real time or with a delay of several hours. Unique identification number of the postage indicated on the letter (not parcel). If a registered letter or a registered letter with return notification did not reach the addressee, you need to go to the website of the Russian post in the section "Postal services – mail Tracking" (http://xn----7sbza0acdlkaf3d.xn--p1ai/rp/servise/ru/home/postuslug/track...). In the "Mail ID", enter the identification number listed on the check. The number should be entered without brackets and spaces. 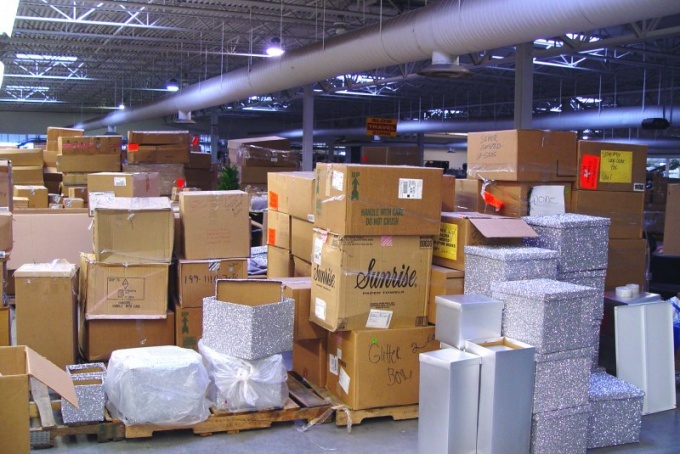 If the search is successful, you will see the status of your shipment, its location. Remember! If the shipment you're looking for is international, it may be delayed for inspection by customs. In this case, information about it is unavailable as long as the letter will not be forwarded to the Mail of Russia for their further delivery on the territory of Russia. If you search through the site Mail of Russia did not produce results, write to the requisition. A statement in the name of the head post offices may be filed either at the place of dispatch of the letter or at the place of its receipt. You should have the document proving the identity and the original or a copy of the receipt (receipt). Application forms are available in every post office of Russia. 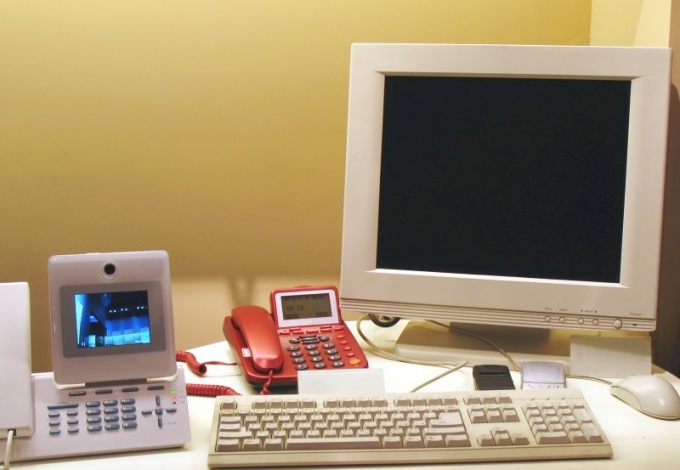 In addition, they can download, save and print on the website of the Russian post in the section "Handling users of the services of FGUP "Pochta Rossii" (http://xn----7sbza0acdlkaf3d.xn--p1ai/rp/servise/ru/home/postuslug/remov...). In the statement necessarily specify the address of the sender and recipient, unique ID number, surname, name and patronymic of sender and recipient, attach a copy of the receipt. Complete the application, pass it to the Director of admissions or through the information Desk. Under each application form has a tear-off coupon. This coupon will attest to your application. After some time, you will be contacted at the contact numbers or send an information letter about the results of investigation of undelivered mail. Write an email to one of the addresses listed on the website of the Russian post (http://xn----7sbza0acdlkaf3d.xn--p1ai/rp/contacts/ru/home). Please include the ID number, contact details and wait for the answer. If your long expected parcel still no, you can try to track the route of any postal items with special services provided by Russian post. Every postal item, whether registered mail, valuable parcel or parcel, is assigned a specific identification number. It can be seen on the receipt which should be issued when you receive this mail. Knowing this number, try to find the parcel in the following way: go to the official website of the Russian post and go postal tracking: http://www.russianpost.ru/rp/servise/ru/home/postuslug/trackingpo. Enter in the appropriate field ID number and click "Search". You will see a table that details what day and what time the letter or parcel received in a given grading when he left and where he went next. Also there will be listed all the post offices visited your parcel. These data will greatly facilitate search. If your mail went to Ukraine or Belarus, you can use the following search services: Ukraine http://www.ukrposhta.com/www/upost.nsf/search_post?openpage for Belarus - http://search.belpost.by/. Enter in the specified fields of digits in the identification number with no spaces or other symbols and click "Search". To find the information you need is not difficult and abroad. Remember that weekends and holidays post office is running in a slower mode, so if the day of receipt of your parcel came exactly to this time, mail may be delayed. If the parcel is too long and you can't find it, write the application and take it to the main post office of your city. The reason for the delay can be incorrectly filled data in the administration, the lack of a postcode or excess weight. Advice 4 : How to check, has the package arrived? Ordering of goods via the Internet, or sending parcels to any addressee involve the use of postal services. 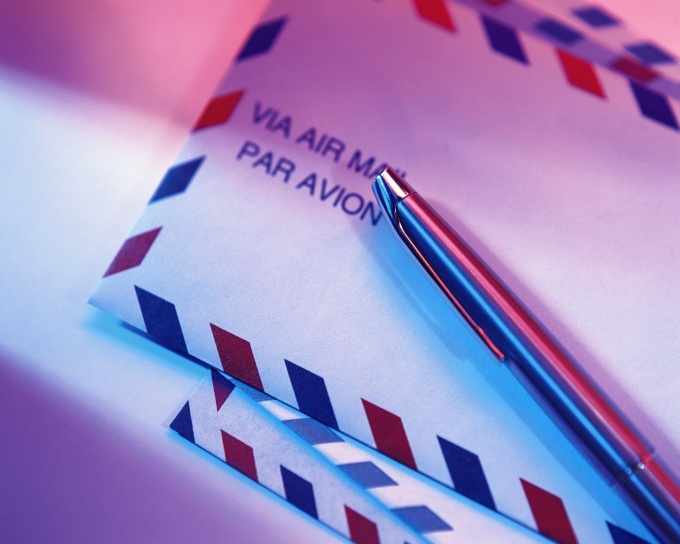 At the post office you can send and receive registered letters, parcels, and international packages. To checkwhether you got a package, try to contact the sender of your order. If you are expecting a parcel from family or friends, call them and confirm approximate time of delivery. If you bought the goods in the online store, contact the shipping Department by email or phone. Call your order number and find out about its readiness. When receiving international parcels, first contact with the seller of the goods. Such Internet auctions, such as eBay, have their own messaging system. Besides, you can always check the status of your shipment (sent the seller a product or not). If you order products always check, whether correctly you have specified delivery address. If your mail involves the service of tracking (shipment tracking), try to track the parcel via the Internet. Because each parcel has its own unique code (ID), you need to enter it on one of the sites online that have information about the status of your shipments. The parcel status is usually indicated country and the place where it is in the current time or has been informed. As soon as the parcel will be at your post office (to the address you provided), you must mail a notice. Room notice, as a rule, coincides with a number that indicates a post office on your package. The notice must specify the weight of the parcel, the postage (small packet, parcel, shipment EMS, etc. ), date of arrival of the shipment at your post office. Be careful, for possession of a parcel at the post office over a certain period (usually 5 days) you may be charged an additional fee. Complete the reverse side of mailing the notice. Write passport data, address of residence. If you receive a parcel for a family member living at the same address, care of attorney, which gives you the right to mail for him. Contact with notice and passport to the shipping Department packages your post office and get the parcel. If you have not received a notice by mail but believe that the package should come, contact the post office and ask for mailers to you at the same time presenting a passport. When sending a registered letter it is assigned a unique post ID, which subsequently allows you to track the shipment process of writing. You can do this by using the Internet site of Russian post. Go to the official page of the Russian post http://почта-россии.рф/. In menu "Services" click "Tracking". Each postal item is registered at the post office, with the result that every letter gets its own unique code. When sending domestically, this code is a collection of fourteen digits. Enter in the corresponding field of the mail ID of your registered letter. ID you can see in the receipt issued to you in the mail upon reception of your letter. Enter the entire number, omitting spaces and parentheses if they exist in your receipt. Click the button below and you will see the results of your search of your shipment. At each stage of shipment of the postal shipment identification number is recorded in the database of accounting and control (CCA RPO), so in the search results, you can see the status of the postal item at the moment is where and when the letter was sent, when and on which post office transferred whether it was obtained by the addressee. This system for tracking correspondence works in 77 regions and covers 32,000 post offices. The system allows anyone to have access to information about domestic registered mail and international. However, the full implementation of this system at present is not yet completed. If the status of your letter a long time does not change, if the letter is lost or for some reason did not reach the recipient, you can write a statement about the tracing of postal items. The application form in any head post office or use the link http://почта-россии.рф/rp/servise/ru/home/postuslug/remove_clients. When sending registered letters keep received in the mail a check. In the receipt ID number, which you will be able to track the whereabouts of your letter. Despite the fact that the Internet is evolving by leaps and bounds, sending parcels is possible only through regular mail. However, there are often problems with tracking sent mail. Sometimes you have to look for a lost parcel. What can you do in this situation? Find all the receipt that you were issued at the post office after sending the parcel to the specified address. In any case, you need to have on hand a document with the identification number of the parcel. It includes 14 digits, the first six of which correspond to your post office. The remaining 8 digits correspond to other domestic and international standards. Watch through the website of "Mail of Russia" the shipment status of your parcel. Visit this url and scroll down to find the field "Post ID". This feature allows you to get latest info about mail forwarding. There will need to type the 14-digit identification number that you found in check. Enter the number of the post ID, without spaces, parentheses, or other characters. Check the status of the parcel in the opened window. You can check various data, for example: "Left the sorting center", "Arrived at the place of delivery". If you see the last option, then you don't worry, the parcel is at the post office of the recipient. If the first – wait a little longer. Analyze the problem of delivery. If you sent a package to Russia, and it is not reached to the specified address, probably she hasn't left the sorting center. Perhaps the operators mistook the post office. It is also often the case. 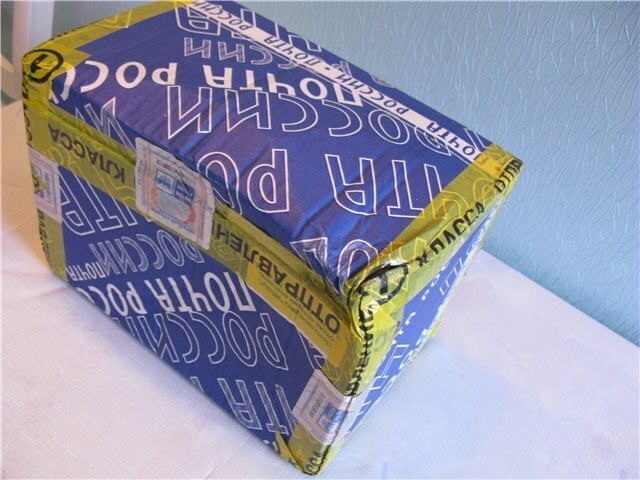 If you send a parcel abroad, could cause problems at customs. In any case, promptly get on the phone with my post office and find out all possible causes. The delivery time can be increased for many reasons: bad weather, holidays, technical failures, problems with customs, problems with the delivery transport, etc. this can be attributed to computer errors, and operators. Use the international system of shipping by DHL or EMS delivery to Russia. This is the most reliable and fast options of delivery straight into the hands of the recipient. Of course, this method costs a certain amount of money, but it's worth it. A few years ago no one could dream of ordering the goods directly from Europe, Asia and other parts of the world. Today, the consumer has Internet access can afford it. But, unfortunately, the package does not always reach the addressee. If you are faced with a similar situation, you can find out information on the progress of the parcel via the Internet, by phone or by contacting the customs. Track the progress of the parcel on the tracking emailed to you after order processing. It consists of 13 characters, starts with two uppercase English letters. Next is the combination of 9 digits and ends with a code of two letters that indicate the country of the sender. For example, RK457389923DE - parcel from Germany. Trekking should be entered on the website of the Russian post (http://www.russianpost.ru/rp/servise/ru/home/postuslug/trackingpo) or Sir Jan (http://www.airsoft73.ru/tracking.php). In some cases, the tracking system fails. So you can call the help Desk FGUP "Mail of Russia" - 8-800-2005-888 or EMS Mail of Russia - 8-800-2005-055 (calls are free from anywhere in Russia). Then proceed according to the instructions provided over the telephone. Possibly go to the customs. Bring your passport and a photocopy, a printout of the order. Don't forget to bring a document confirming payment of the goods. This can be a certified Bank statement credit card copy of application for remittance and statement of account depending on the form of payment. Inform the customs officer of the trekking and provide documents. If your sending too much product, write a statement to its issuance. This paper is transferred by the employee to another window, where customs duty is calculated and a receipt is issued. After payment and filling the application package given to you. 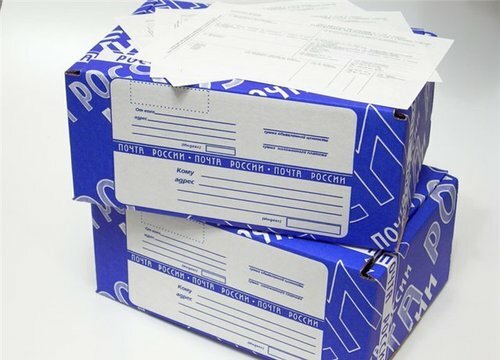 The package you will not be given if it contains prohibited items: firearms, drugs, poisonous animals and plants, banknotes of the Russian currency, perishables and beverages. Shopping in China via the Internet is a great opportunity to purchase a variety of goods at relatively low prices. However, fans overseas online shopping sometimes you have months to wait for ordered items, sent by mail or courier service. Shipping from China can reach the Russian recipient for 4-5 weeks, and in some cases to stay for a couple of months. There are cases when the parcel arrives in a week, but often the departure is delayed, forcing the recipient to worry about their safely. If your order is sent as registered mail, at every stage of the shipment ID (tracking number) will be entered into a database, so that the movement of purchase can be tracked via the Internet. With the recent time tracking of an international shipment is possible on a site of Mail of Russia. The service allows you to check for any recorded shipment by EMS, including Chinese. The track-number to track EMS shipments starts with a capital letter E. check the status of the parcel tracking number without spaces is entered in the "Mail ID". Also, the system requires you to enter a verification code confirming that you are not a robot. Then you receive information about where your parcel is. The national postal service of China is organizing the China Post. On EMS website, a tracking service for parcels sent via China Post. In the box where it says "Please enter tracking number" enter tracking number. In the field "Verification Code" entered the code of six digits that is specified in the top of the page. After entering these data you will receive information about the parcel. Find out where at the moment your package, on the sites of universal services, allowing you to track packages of all countries. For example, "Deposita" allows you to track mail from USA and China. This service has a mobile version, as well as the ability to inform the receiver about the change of the shipment status via email and SMS messages. To check where your parcel, you only need to enter the tracking number in the appropriate field. 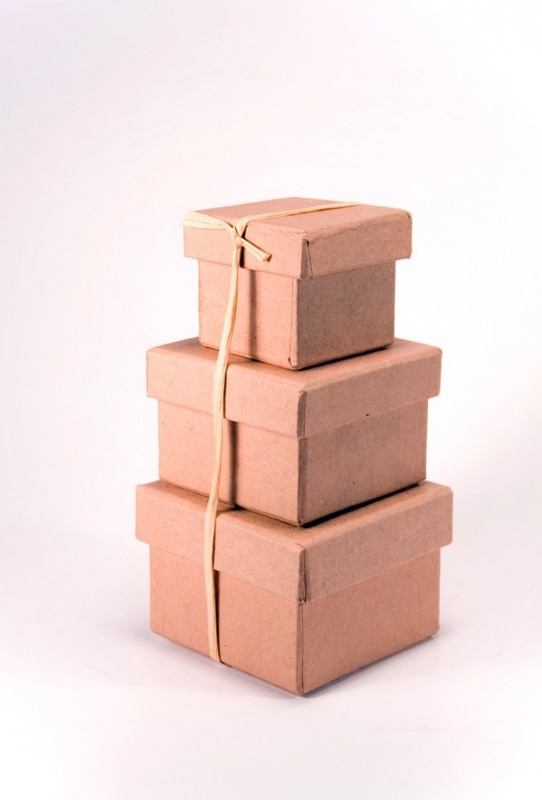 For a more advanced service for tracking parcels — Post-Tracker. But after having registered you will get the capability to automatically detect tracking numbers several times a day. The test results can be obtained on E-Mail and SMS. For tracking in the "Track code" enter your tracking number. Also the site requires a verification code confirming that you are not a robot. After that, you will be given information on the whereabouts of the parcel. When the shipment from China is delivered to Russia, it does not mean that after a few days it will be in your post office or the hands of courier. The package will first go to the customs service. When checking the track numbers will appear in the status "Handed over to customs", that means just after customs your order will go to the point of international postal exchange. He then transferred to the sorting center. And later in your post office. This chain can last 1-2 weeks or longer.